We finally have a venue for this Thursday (Jan. 28): at 6pm (running until 8:30pm or so) I will be giving a talk on the historicity of Jesus and taking Q&A at the Calgary public library (Meeting Room 1, lower level; address: 616 Macleod Trail SE). And if I have any books left from the previous day's debate (quite possibly I won't, it appears that venue may be packed), I'll be selling and signing them there as well. For full details see the CFI Calgary website. I might be on AM 770 (a Canadian radio station out of Calgary) this Tuesday night (Jan. 26). Check out their website for a schedule (I'll be on the Rob Breakenridge show) and where there might be an internet simulcast. I haven't been given any precise info on when (sometime between 7 and 10pm Calgary time, whatever that is) or if it will be live (or recorded and aired another day entirely) or what the topic will be (several ideas were bounced around but nothing finalized). I know that's pretty lame as far as a heads up, but this just happened last minute. This is the best I can do. Those who want to catch the show, good luck! I also still haven't received any specifics on my supposed Thursday talk (my debate in Calgary is Wednesday evening). All I know is that if it happens, CFI Calgary (contact info at bottom here) should have the info as to where and when, or perhaps someone will post it at the local meetup list (that's just wishful thinking). I will be debating Mike Licona on the Resurrection of Jesus at Washburn University (1700 SW College Ave.) in Topeka, Kansas, at 7pm on Thursday, February 11 (see meetup notice). 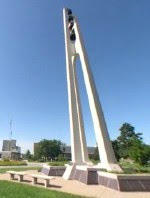 The debate is sponsored by the Atheist Community of Topeka and Christian Challenge, and will be held in the Washburn Room of the Memorial Union. I'm not aware of any entry fee. I will be signing and selling my books afterward (around 9pm or so, give or take). This debate will have a very different format from our 2004 debate in LA and thus won't be a repeat performance but something new and hopefully interesting and educational. I will also be appearing the next day not too far from Topeka for the Kansas City Freethought community. That's Friday, February 12, 6p. Details now here. Video of my debate with Mike Licona at Washburn U is also now available here. I will be debating Michael Horner on whether God exists, in Calgary, Canada (Alberta) this January 27th (Wednesday) at 4pm in MacEwan Hall on the campus of the University of Calgary (2500 University Drive NW, Calgary, AB). $2 admission. I will be signing and selling my books afterward (event is scheduled to run an hour and a half and I'll likely be around until 7pm). I will also be speaking the next day for CFI Calgary (one of the sponsors of the debate) on the historicity of Jesus, but when I know more details about that event I'll blog it separately (see here). I've finished reading James Hannam's book God's Philosophers, which I'll probably start blogging about next month. But in the meantime I'm overdue to comment on a much screwier exchange on the same subject online. I'll do that now, to whet your appetite for my discussion of Hannam's much more careful and informative treatment. Mike Flynn (in "The Age of Unreason") levels many correct and valid criticisms of Jim Walker's wildly erroneous "The Myth of Christianity Founding Modern Science and Medicine (And the Hole Left by the Christian Dark Ages)" (and that despite the fact that I'm sympathetic to Walker's point, and even make the same argument, albeit correctly, in the forthcoming anthology The Christian Delusion, about which I'll blog as soon as I've seen the galleys). Walker responded to Flynn's critique ("Mike Flynn Discovers the Dark Ages"), this time getting a lot more right (particularly in his discussion of technology), but he still gets enough wrong (or still makes too many claims with greater certainty than is warranted), that I can't recommend it. That aside, both Flynn and Walker's main essays are shot through with so many mistakes of fact they can only miseducate, and thus have no value (even worse than no value, since reading them will only spread their error further). So I don't recommend reading either. Here I'm going to try and correct the damage by dispelling the myths Flynn repeats.